Greyscale Chicago Flag — I got this on eBay, which is great for finding basic patches on the cheap. 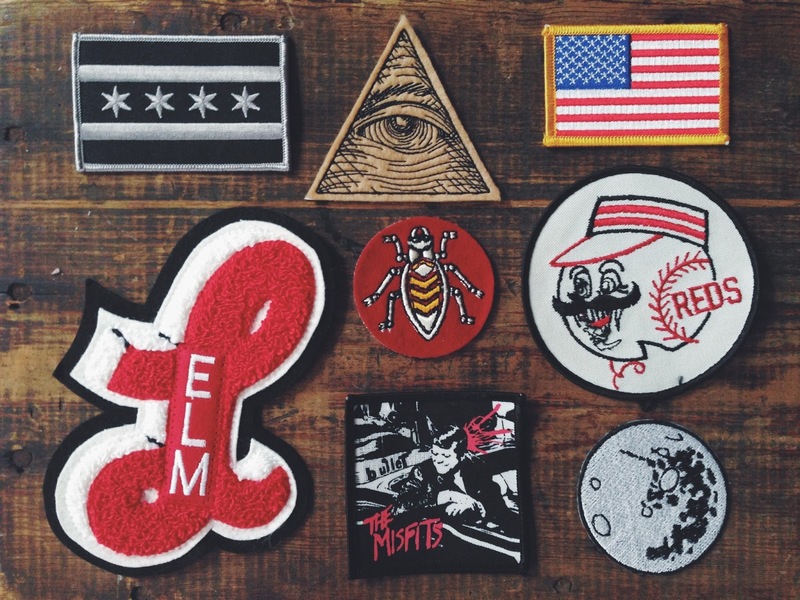 I bought two of these knowing that I'd probably want to put them on multiple jackets. I have yet to decide. I've also seen olive versions of these in Chicago area army surplus stores. I have another version of this that is a confederate flag that I made my ex rip off his vest — not because I wanted it, because it's offensive. It's buried somewhere in my stuff and I should probably just burn it. Logan Elm Varsity Letter — This is actually my tennis varsity letter from high school. I never opted to do the whole letterman jacket thing, so I've held onto this ever since. I'm not sure what I'm going to do with it. All I know is that I can't let it go. All-Seeing Eye — This is one of my newest patches. I picked it up on Etsy. It's definitely going on my leather jacket. 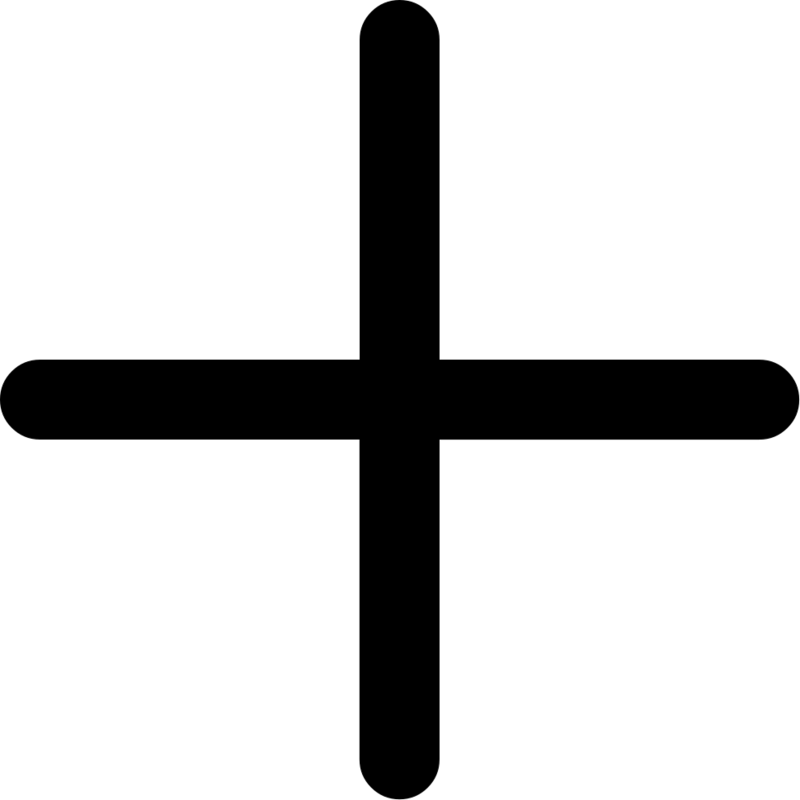 Bug — I have no idea what this bug is from or if it means anything, hence why I'm hesitant to put it on something. Anyone know? I picked it from a vintage pile a few months back. The Misfits — The only remaining patch my high school days. It's a cheaply-made specimen from Hot Topic, but I can't get rid of it. I mean, come on. American Flag — And ex gave me this one. Still undecided on what to do with it. It'll probably go on my camo surplus jacket. Cincinnati Reds — Another vintage patch I picked from a pile. The threading is a loose, but I don't mind. My parents used to take me and my brothers to Reds games, so I had to have it. Moon — Yeah, I can't unsee the unicorn in it. But I'm going to sew it upside down on my leather jacket in hopes that if it's turned, I won't see it. From Etsy. 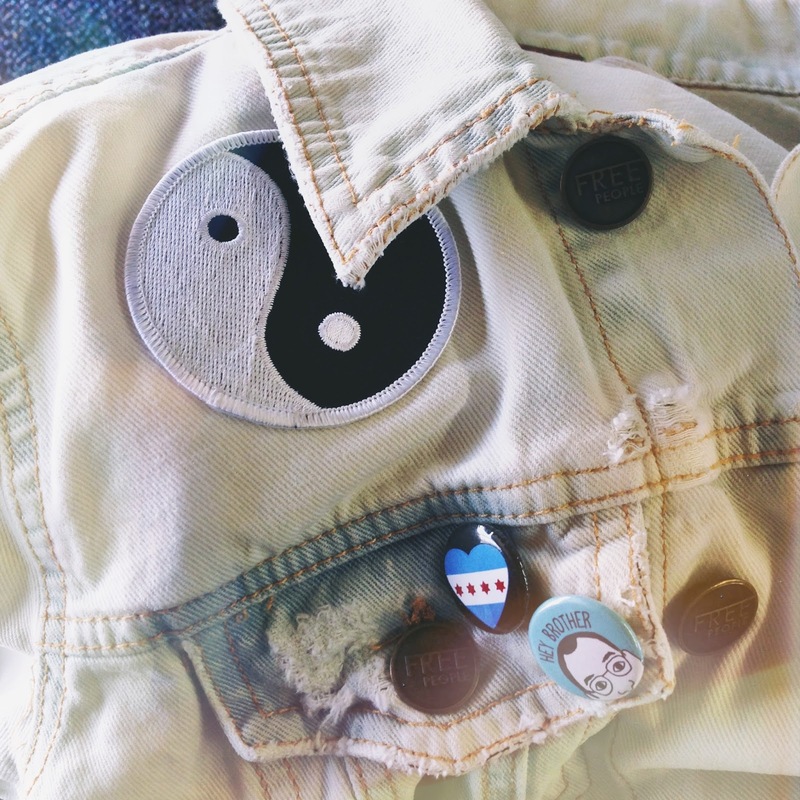 This yin yang patch was picked from a vintage pile, but you can find replicas all over the place. It's living on my cloud wash denim jacket. And finally, my favorite of all. 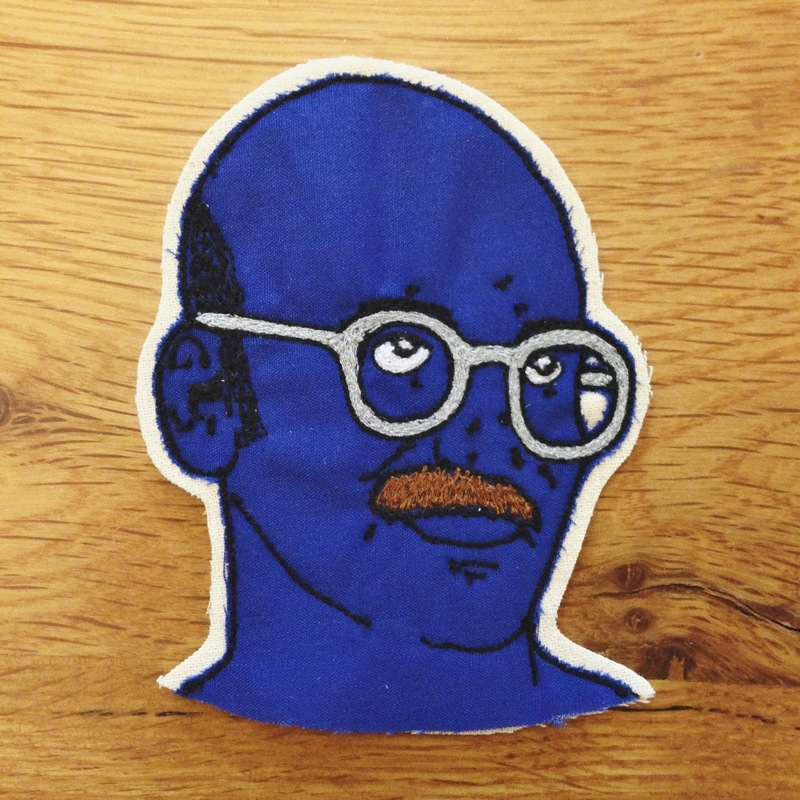 This handmade Tobias Fünke patch was made by LeighLaLovesYou on Etsy. Her shop is currently on vacation, but she has some amazing work. Keep an eye on it and scoop up a piece if you get a chance! I get tons of compliments on this one.